Cardiotonic, diuretic and clears heat. 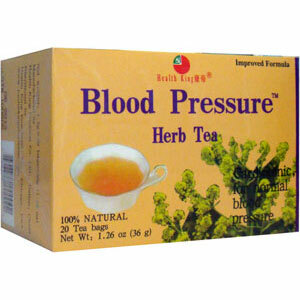 Maintains normal blood pressure and strengthens the heart. Blood Pressure Herb Tea (Apocynum H.B.P Herb Tea), with an excellent natural flavor, is made of wild apocynum venetum grown in a pollution-free area in northeast China. Apocynum contains rutin, glutamic acid, alanine, anthraquinone, etc., and is cardiotonic, diuretic, to dispel heat, used in Chinese medicine as a principal herb to maintain normal blood pressure and to strengthen the heart. Should not be used with low blood pressure.